Music by Vince Dicola and others. In episode 14 of the MovieMuse podcast the team give their thoughts on the soundtrack to Sylvester Stallone’s 3rd sequel in his Rocky franchise. Our scores on the doors and our choices for standout tracks are below, or you can hear the team’s full thoughts by checking out the video. You can also listen to the full soundtrack free of charge in thisYoutube playlist. So why not give it a go and let us know what you think in the comments box. The league table also shows where the soundtrack sits in our overall leaderboard. 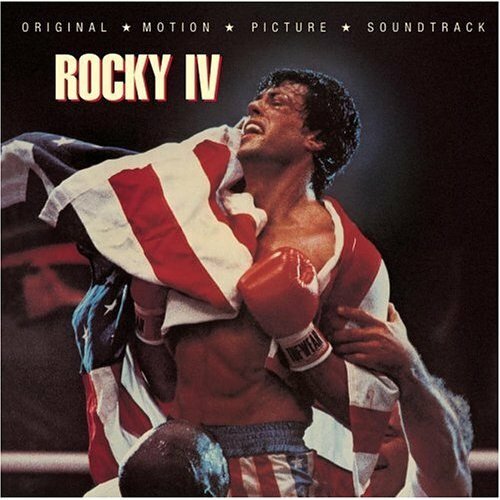 Dispensing with the expected Bill Conti score, Rocky IV goes for a minimalist electro-synth score and a tremendous collection of classic 80s soft rock hits.